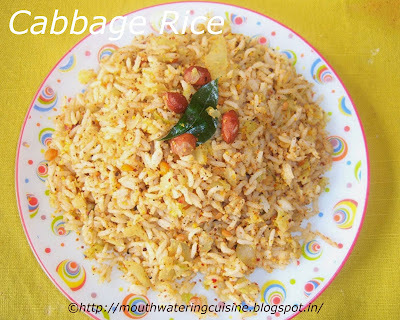 Rice dish with cabbage is the best way to use cabbage. It has got its own taste and smell. Not every one likes it, but this dish I am sure people like very much. 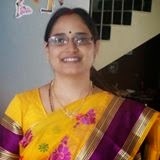 We need to prepare a special masala powder to make it. It can be stored for further use also. Finely chop cabbage and wash thoroughly. Pressure cook rice for three whistles. For 1 cup of rice add 2 cups of water. Once cooled spread it in a wide plate. Heat oil in a kadai, fry ground nuts, once they turn light brown color, add black gram, bengal gram, mustard seeds, cumin seeds, red chillies and curry leaves. Keep it aside. Heat oil in the same kadai, add chopped cabbage. Add salt, turmeric powder. Let the cabbage cooks completely. Add curry masala powder also to the rice. Mix it well. 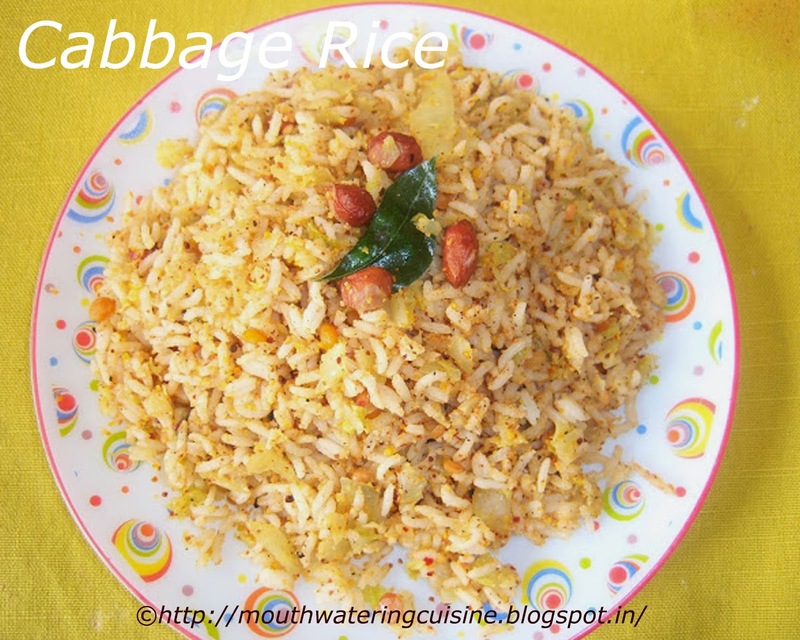 Serve cabbage rice with raita or as it is. I prefer to take as it is.